It has been called the great race of our club. 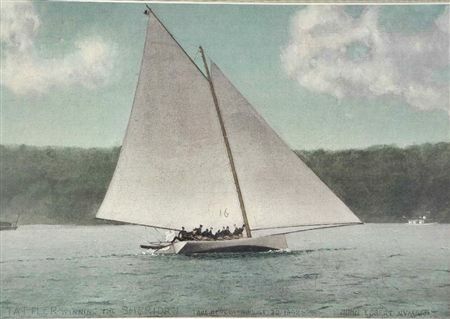 From the start, even before there was a beautiful trophy or an official Yacht Club, the Sheridan Race generated enthusiasm among competitors, boat owners, and the townspeople from around Geneva Lake who lined the shore. The colorful story of this event begins on August 31, 1874, when Lieutenant General Philip H. Sheridan, the Civil War hero then stationed in Chicago, visited Lake Geneva. To celebrate the occasion, his hosts and friends planned a regatta in his honor and collected $200 for a trophy. Seven boats—they were known as sandbaggers—competed in the Sheridan Race that day, and the winner on corrected time was the 21-foot topsail sloop Nettie, sailed by Billy Woods and owned by Julian S. Rumsey, a successful grain merchant in Chicago and that city’s former mayor. 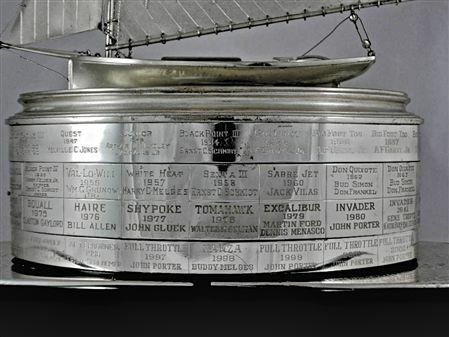 In the year that followed, Chicago silversmiths Giles, Brother & Company created a handsome trophy, a 10-inch silver model of the Nettie on a flat oval surface that is inscribed “Sheridan Prize Sailed for Annually on Geneva Lake the Last Saturday in August.” These words are surrounded by the engraved names of the winners, which continue on the base and on rows of silver bands added over the years. 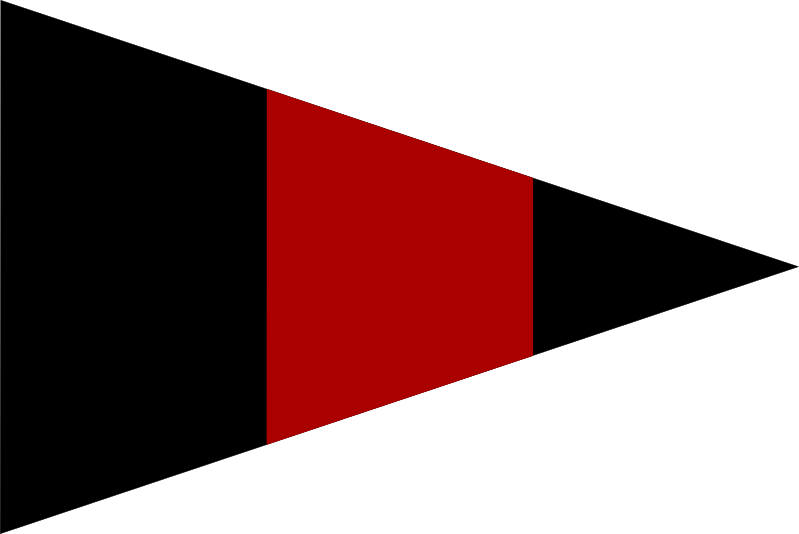 To ensure responsible management of the event and its trophy, the General’s friends drafted a Trust Agreement and appointed trustees to oversee and “control all questions relating to this prize.” The first trustees were George L. Dunlap and N. K. Fairbank. (The LGYC centennial book also includes General Sheridan’s host, Charles Wilson, as a trustee.) The current Sheridan Prize trustees are Commodore F. Terrence Blanchard, Michael K. Keefe , and Charles R. Lamphere. 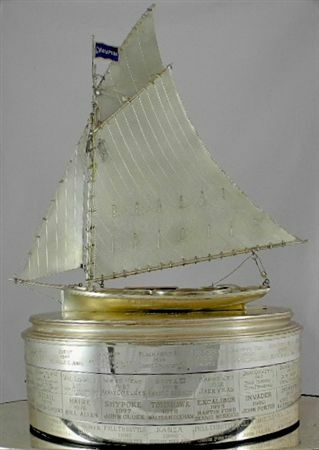 The owner of the winning yacht receives a three-inch replica of the Nettie, and crew members receive commemorative pins. After the 1894 race, the winning crew received gold scarf pins, and the second- and third-place crews received cash prizes. 1889 Viking, H. H. Porter Jr.
1900 Mahoohoo, H. H. Porter Jr.
1901 Mahoohoo, H. H. Porter Jr.
1903 Peshtigo, George Sloan, Olin Burton, and C. E. Rollins Jr.
1904 Buccaneer, George P. Braun Jr.
1935 Big Foot, A. F. Gartz Jr.
1936 Big Foot Too, A. F. Gartz Jr.
1937 Big Foot Too, A. F. Gartz Jr.
1938 Big Foot Too, A. F. Gartz Jr.
1940 Chief Big Foot, A. F. Gartz Jr.
1942 Chief Big Foot, A. F. Gartz Jr.
1951 Val-Lo-Will, William C. Grunow Jr.
1954 Val-Lo-Will, Wiliam C. Grunow Jr.
1956 Val-Lo-Will, William C. Grunow Jr.